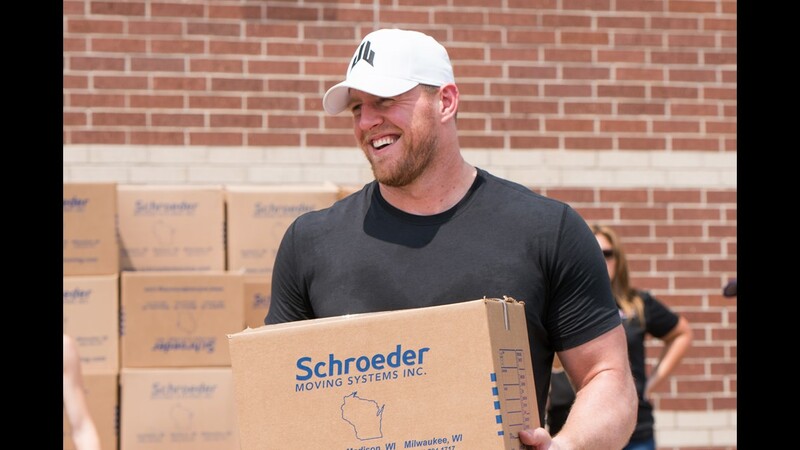 Houston Texans defensive lineman J.J. Watt shakes hands with a receipient of relief supplies distributed to those impacted by Hurricane Harvey in Houston on Sunday, Sept. 3, 2017. 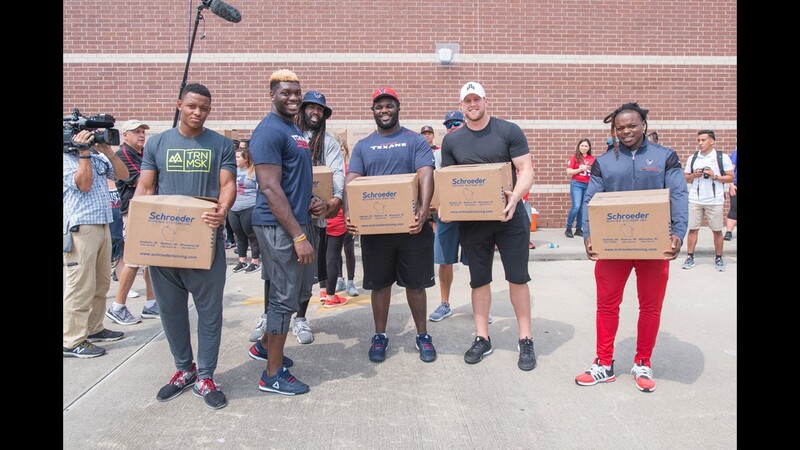 Houston Texans J.J. Watt, along with teammates, help distribute relief supplies at four locations around Houston on Sunday, Sept. 3, 2017. 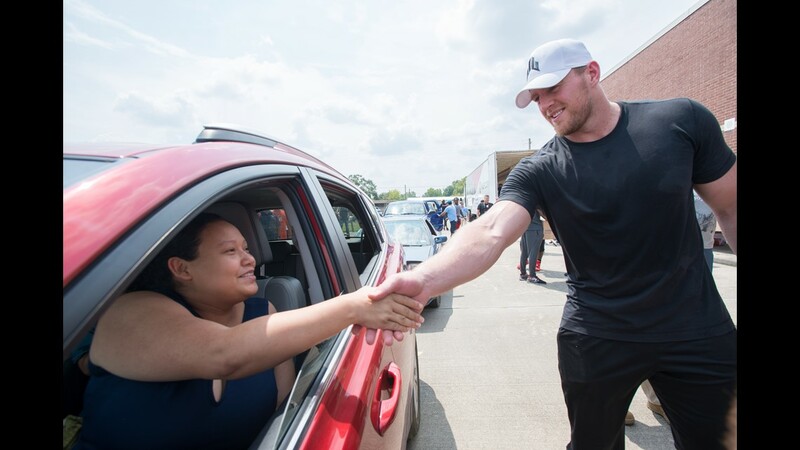 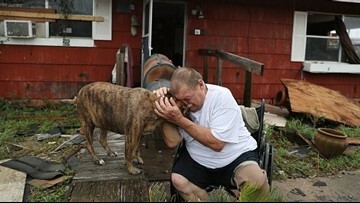 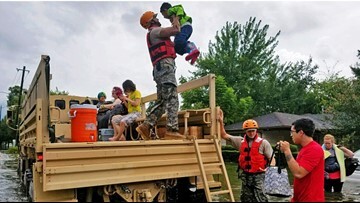 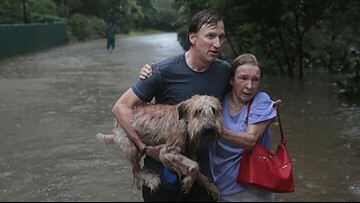 Houston Texans defensive lineman J.J. Watt distributes relief supplies to people impacted by Hurricane Harvey in Houston on Sunday, Sept. 3, 2017. 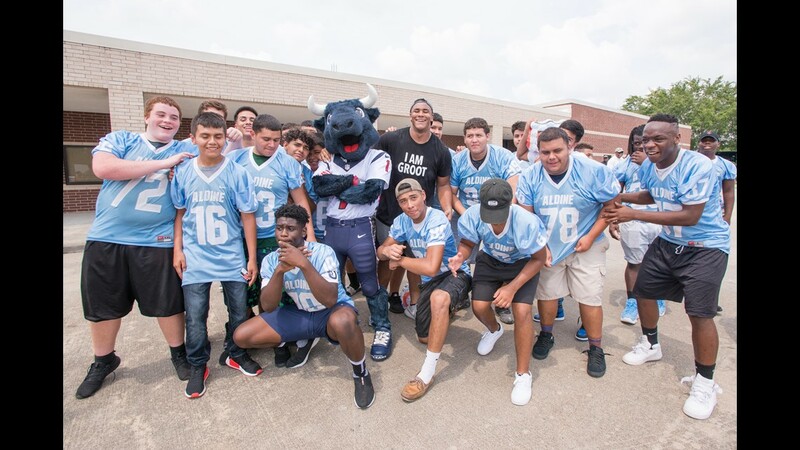 Houston Texans Christian Covington and mascot Toro pose with volunteers who helped distribute relief supplies to people impacted by Hurricane Harvey in Houston on Sunday, Sept. 3, 2017. 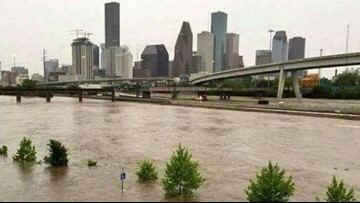 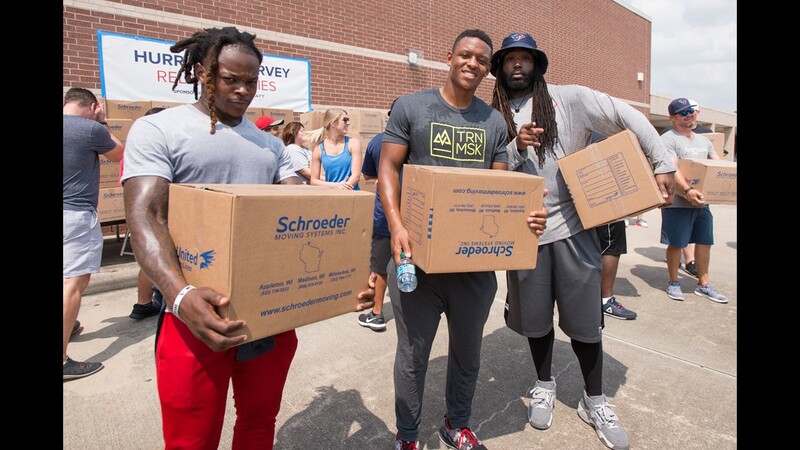 Houston Texans Dee Virgin, Stephen Anderson and Derek Newton distribute relief supplies at four locations around Houston on Sunday, Sept. 3, 2017. 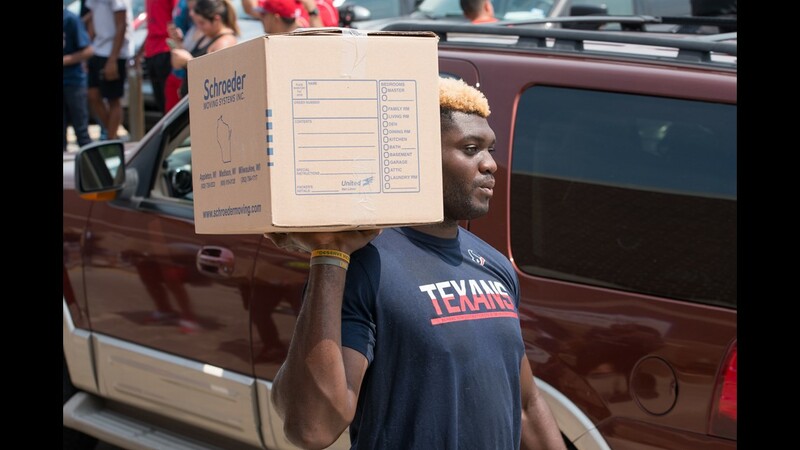 Houston Texans Ufomba Kamalu distributes relief supplies to people impacted by Hurricane Harvey in Houston on Sunday, Sept. 3, 2017. 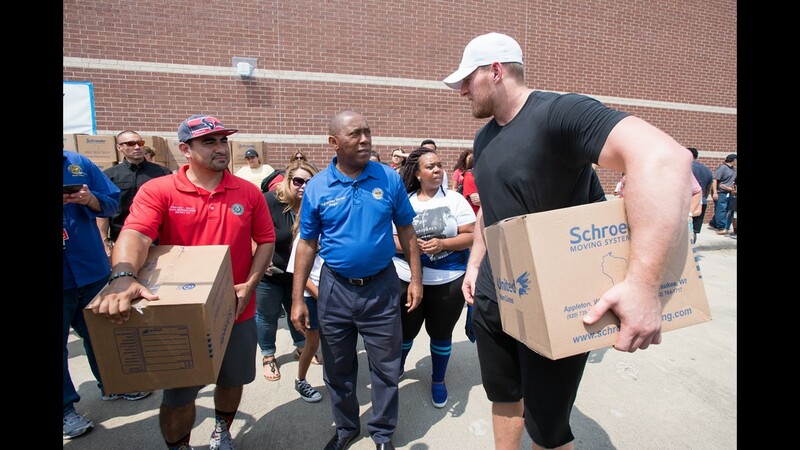 Houston Texans defensive lineman J.J. Watt talks with state representative Amrando Walle and Houston Mayor Sylvester Turner while distributing relief supplies at four locations around Houston on Sunday, Sept. 3, 2017. 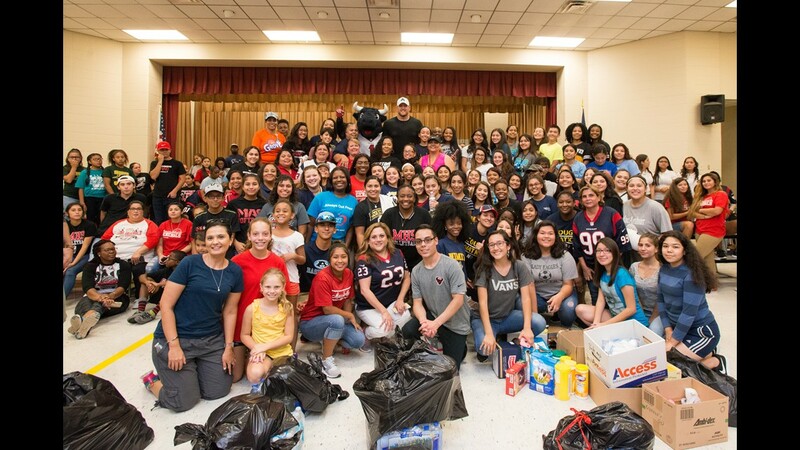 Houston Texans defensive lineman J.J. Watt poses for a photo with volunteers who helped distribute relief supplies to people impacted by Hurricane Harvey in Houston on Sunday, Sept. 3, 2017.